Any holiday to Italy will result in lots of dollars being spent on souvenirs, food, shoes and clothing. The good news is most foreigners who travel to Italy and purchase items in Italy other than food and accommodation can claim to have their payed tax (IVA currently at 21%) returned to them before they depart the country. IVA is the Italian acronym for the European VAT tax and VAT stands for Value Added Tax. You must be a non EU resident. The minimum required total amount for items is 154.94 Euro. So you are better off buying many small items from one merchant that will give a final total over this minimum required amount which is claimable. The items to be claimed must be for personal use. The purchase(s) must of occurred within the last 3 months prior to departing Italy. The easiest way (believe me from experience) to receive your VAT back from Italy is to ensure firstly that you buy from an Italian merchant that is already signed up to a Tax Free facilitating company like Global Blue (Premier Tax Free, Tax Refund for Tourists). 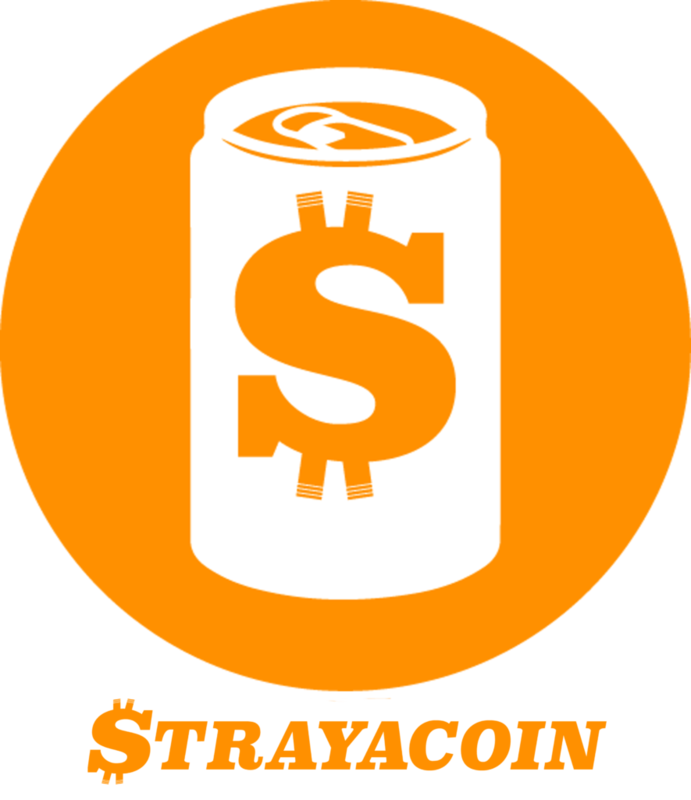 They often have the logo displayed on a window or on the Point of Sale desk. The benefit of purchasing from an Italian merchant that has signed up to a Tax Free facilitating company is that this will save you valuable time at the Airport when you leave Italy (in this case Fiumicino airport in Rome). The reason? Usually you will require your receipt to be stamped by Italian Customs – which can have a very long queue. Even before lining up to claim your VAT. With a global blue tax free form and your receipt (which you purchased in Italy) you now don’t need to have your receipt stamped at Italian Customs. 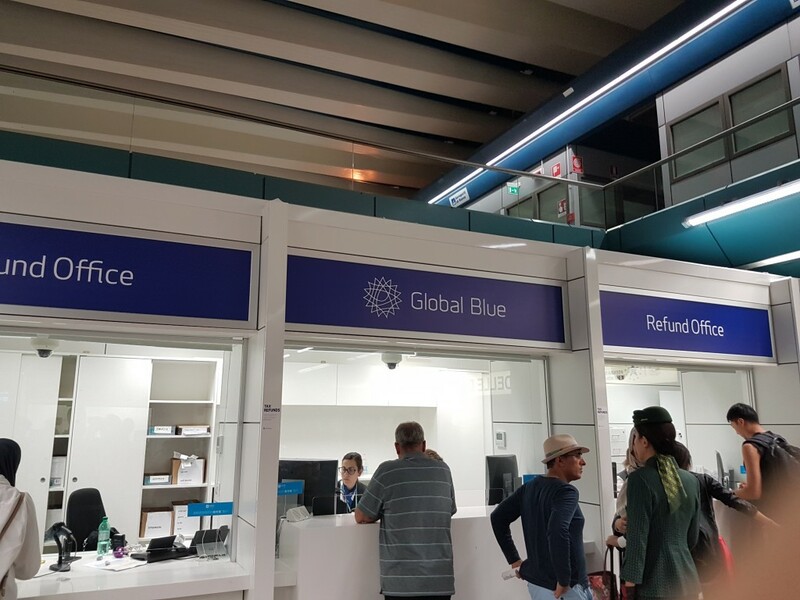 Instead you can simply and quickly waltz straight up to the counter of your Tax free facilitating company refund office (like Global blue) to receive your money (in cash or credited back onto your card) before you leave the country. 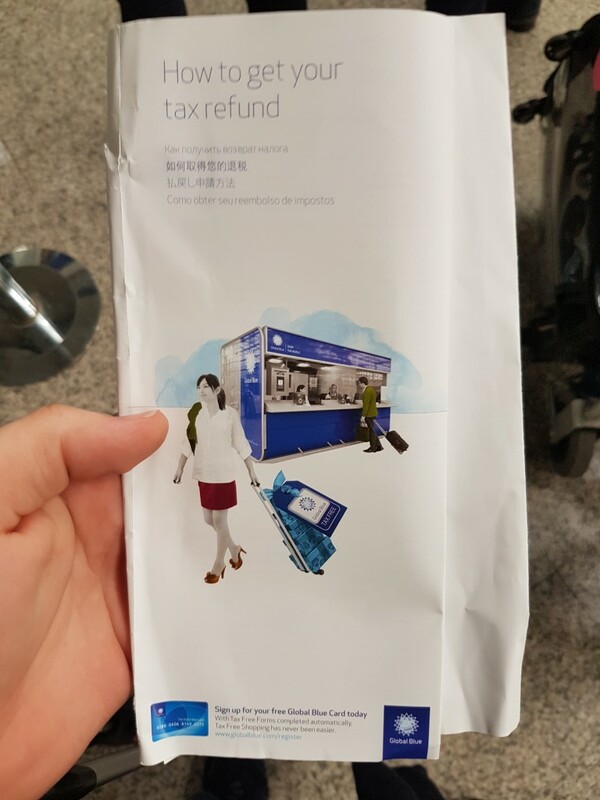 This had recently changed, as in my previous trips you did have to line up and receive a CUSTOMS stamp before then lining up again at the refund office. 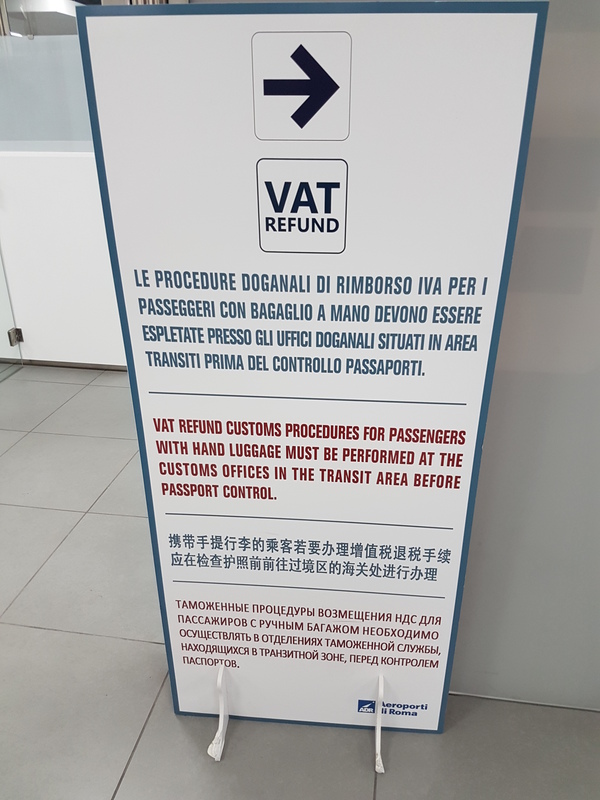 This is only true though for items purchased in Italy (with evidence of the Italian receipt) This saves you lots of time at the Airport and therefore more chance that you will actually claim your VAT tax back and less chance of you actually missing your departing flight. In Rome’s Fiumicino airport before security checks and passport control there is a designated area where CUSTOMS is located. 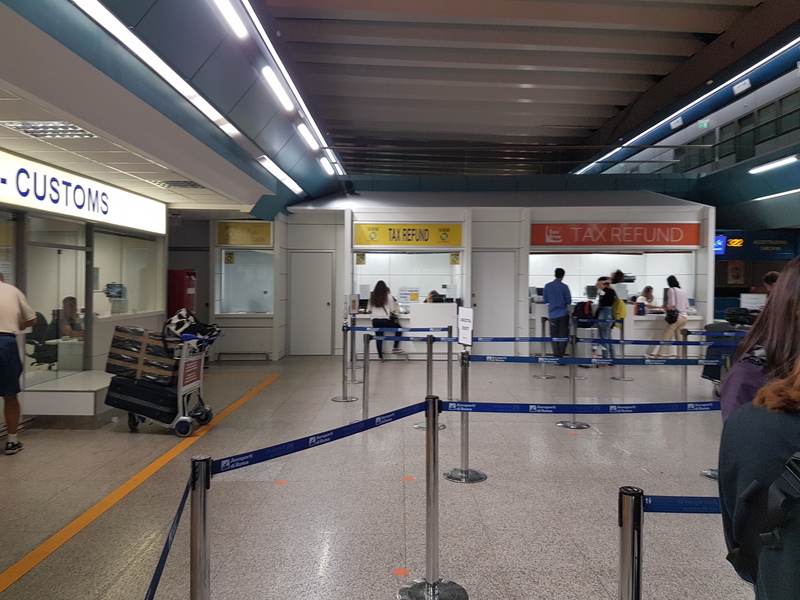 Customs is located at the end of the space and on the left and right hand side before CUSTOMS are the VAT claiming refund offices of the tax free facilitating companies. 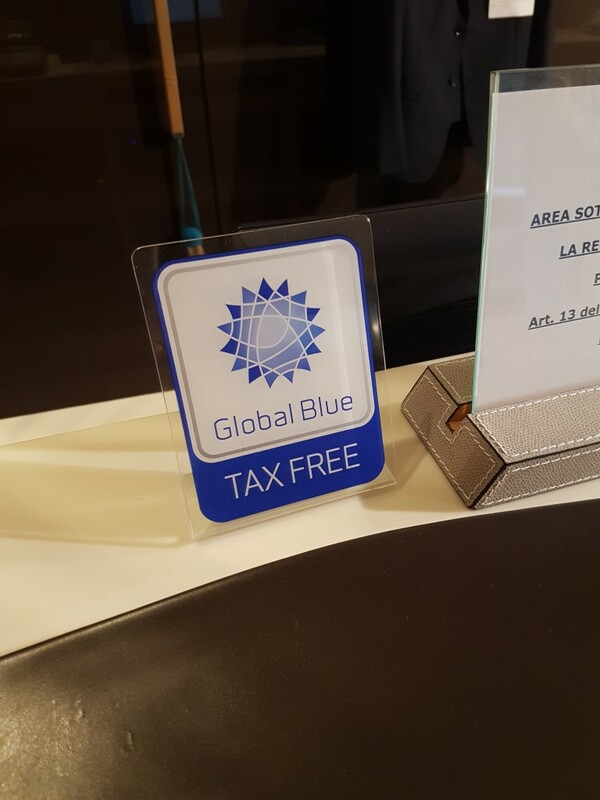 One of the largest Tax Free facilitating companies in Italy and broader Europe is Global Blue. Yes, these tax free facilitating companies do take a commission from your tax refund however as you will soon realize it is still the better option than the alternative. 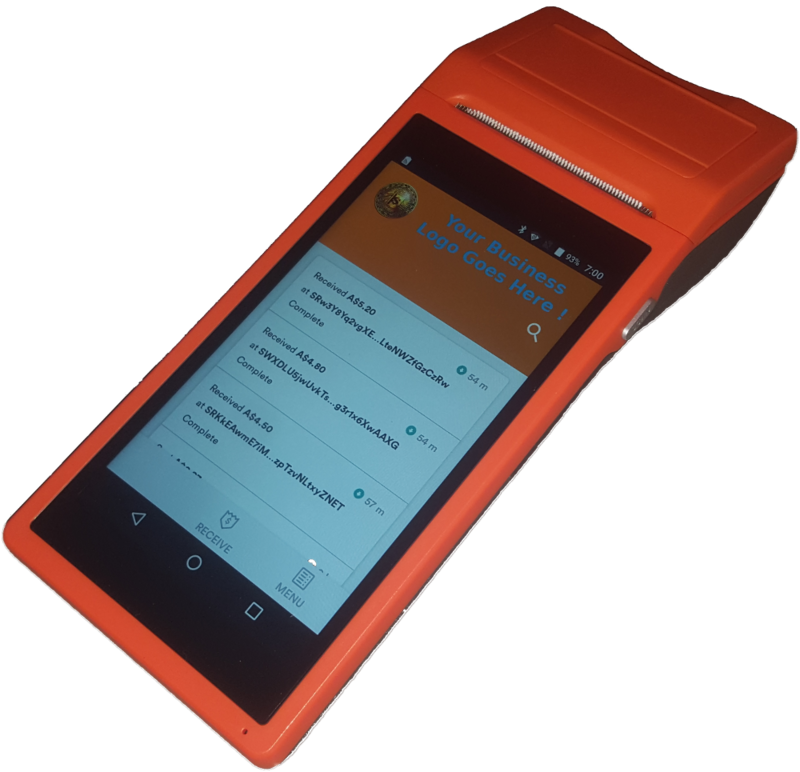 The alternative of course is to keep your tax invoice and receipt from the Italian merchant and go it alone by yourself in trying to get the tax refund back (which in Italy is nearly impossible). Just before departure, you will almost certainly need to visit the CUSTOMS office to have your items you want to claim tax free inspected and have your tax invoice stamped. When you arrive back home you will have to post the stamped tax invoice back to the merchant you purchased the items from. Now you just have to wait and trust that the Italian merchant delivers good on his end. What the shop needs to do is lodge your form with the Italian tax office and of course pay you the money either via direct debit or cheque. Now you can see where you might become unstuck. After many trips to and from Italy and attempts to claim the Italian VAT back, i never try to claim the tax refund via the latter method, i always look out for a tax free facilitating company where i can ensure i will get my tax back as they too are invested in my claim.